Last time this course sold out within 3 days! However we will have another Harmonium & Vocal is back, so secure your space whilst you still can. If you have always wanted to learn how to play Harmonium, this is your opportunity. Taught by an amazing musician who is a regular at all the kirtan events both in the UK and internationally, Prema Sankirtana das will take you through your paces over 12 weeks, teaching you the basic rhymes, raagas involved in playing a kirtan so one can gain both competence and confidence in playing. Description & playing the Harmonium. Various Positions of ‘Sa’. Playing the Basic Scale. An Explanation of the Notation used for the Musical Selections & much more! There will be a maximum amount of students allowed to allow quality time with each student & only 5 SPACES LEFT! Each student will be expected to bring their own Harmonium, take the sessions seriously and practice away from the sessions too. The class is suitable for ages 10 onwards. End of the course at an advance the student will be able to fully understand music and thus becomes a Vocalist, song writer, musician, composer, arranger, & producer through the Raagas. The sessions will be facilitated by PremaSankirtan das who has over 40 yrs of experience in Indian & western music. 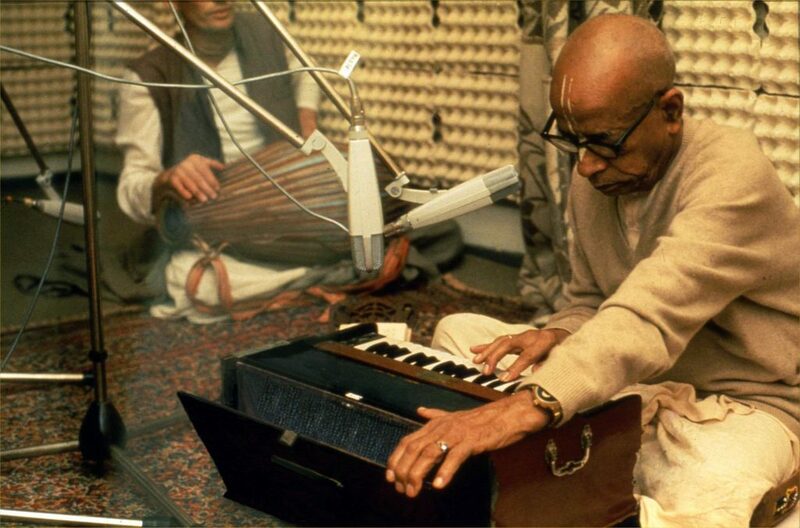 From an early age he was inspired through family background – (father a bhajanist) which lead him to study Sastra Sangeet in Indian Classical music from the famous Dr. Usha Parkhi from Nagpur India (Classical Vocalist). Studied Western Symphony Orchestral & Pianoforte courses. He is experienced in & has studied Electronic Sound synthesis music. A few of his achievements are performancing Live in Indian Bollywood films 80’s & 90’s with his own band & being a Freelance musician. After the late 90’s he enjoying bhajans & kirtan for ISKCON and now has decided to also teach others to open up their inner-muscian! This is a unique opportunity to learn from such a talented musician.